The one-day event will be held at Quatama Elementary School in Hillsboro on Jan. 12, 2019. Expecting plenty of gifts this holiday season? A Hillsboro recycling group is asking Washington County residents not to throw away all that Styrofoam and polystyrene this winter. 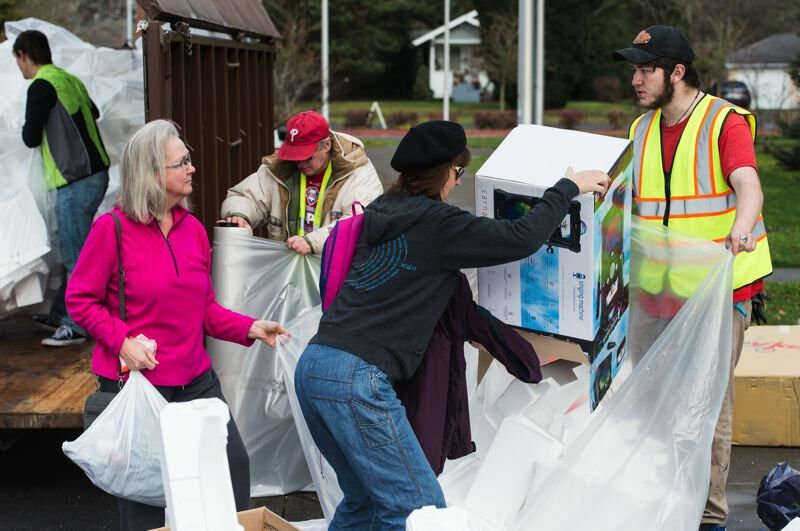 PlanetCon, a recycling and recovery event, will be held Saturday, Jan. 12, at Quatama Elementary School. The one-day recycling drive will be collecting polystyrene, Styrofoam and other plastics for proper disposal. The event is sponsored by the Westside Master Recyclers, with support from Washington County Solid Waste & Recycling and the Hillsboro School District. Polystyrene used to be recyclable locally, but Far West Recycling in Hillsboro is no longer accepting the material after the Chinese government stopped buying American recycling materials. Organizers of PlanetCon will be accepting polystyrene, Styrofoam, stretchy plastic bags, plastic film, bubble wrap and deflated packing pillows. The group will also take plastic threaded caps that twist on and off bottles, jugs and jars, as well as plastic lids that snap on and off tubs and buckets. The items must be cleaned and sorted, organizers said. The group will also recycle small household appliances and electronics, non-working holiday string lights and household batteries. The event is also used as a clothing drive and swap meet, said organizer Cecelia Warner. "PlanetCon is about so much more than recycling," Warner said. "It is about reuse, repair, sharing and learning." The group will also be collecting warm winter coats, hats, gloves and scarves for needy families in the area. Unwanted holiday décor such as lights, ornaments and unused greeting cards can be exchanged for "new to you" items during a swap meet at the event, organizers said. Volunteers will run an annual "Repair Fair," as well, giving attendees advice on fixing household items. Volunteers can sign up for the Repair Fair on its website. The event runs from 11 a.m. to 2 p.m. at Quatama Elementary, 6905 N.E. Campus Way. Editor's note: A previous version of this story misstated the day of the week the event will be held. It is Saturday, Jan. 12. The story has been corrected.